I am convinced that our history reveals a very strong characterization of our tribe & our subcultural identity in the 21st Century. We Pagans are a conquered people, and we have largely become so within the past 500 years. The Pagan ways-of-being were much more intuitive and apparent to people living 500 years ago, before the Scientific Revolution, the birth of Capitalism, and the beginnings of European Colonialism. Modernity itself rose from the ashes of the Pagan ethos as it was systematically and globally incinerated from popular consciousness on thousands of pyres and stakes of the victims of the witch hunts. Indeed, even today the smell of smoke from The Burning Times lingers. This period in history remains the paradox of our age. In other words, I see paganism and modern politics as being irrevocably intertwined, as things stand in the world today. For me this is no more than historical fact, and my article explains where I am coming from in this area. But paganism is not polytheism. I am not a polytheist and would not presume to say what should or should not be a part of polytheism. But when we conceive of paganism, which for me is a broader term that includes polytheist pagans, atheist pagans, and all pagans in between, as an ethos, there is room at the table for all of us. 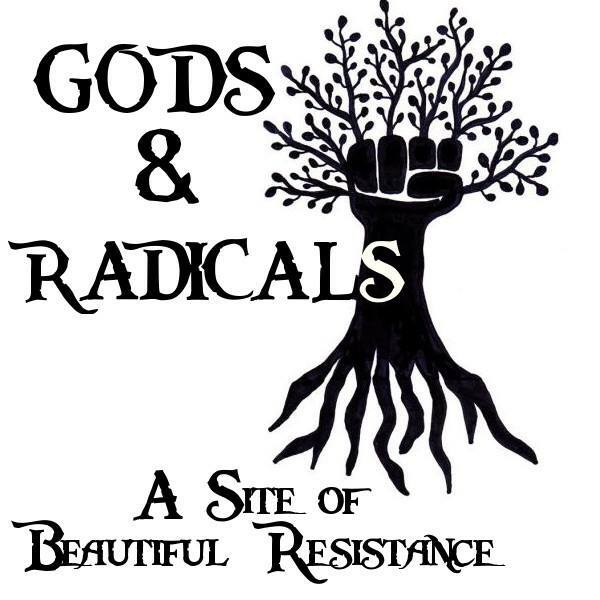 Whether your pagan ethos centers around devotional relationship with the gods, or getting lost in the forest bonding with your ecosystem, urban activist work with the homeless, permaculture design, quiet solitary ritual…. it doesn’t matter. There is room for all of us. Because for all pagans, unity and solidarity is important. Respecting and mutually supporting one another is the only way forward. It need not be either/or. My Pagans are a Conquered People article has been live for less than a day, and already I have had several comments from friends about it being “depressing” or “pessimistic.” I agree, on the surface, the history of paganism over the past 500 years is distressing. But it is our history, and we cannot pretend it isn’t. I appreciate positive thinking, but I also know that ignoring the unpleasant facticities of our history will do far more harm than good. The sooner we accept what has happened to us, the sooner we can unify, decolonize ourselves, and create a better world.